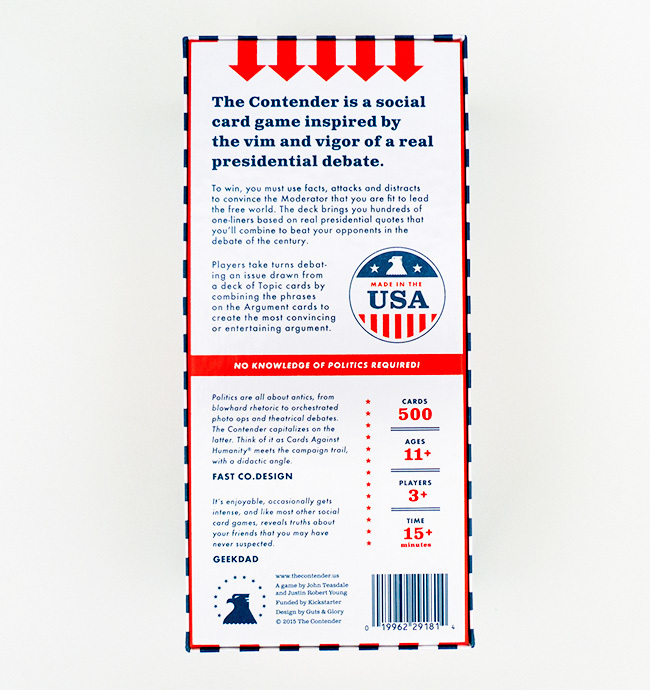 The Contender is a card game inspired by the vim and vigor of presidential debate, launched via a successful Kickstarter campaign that raised $140k. 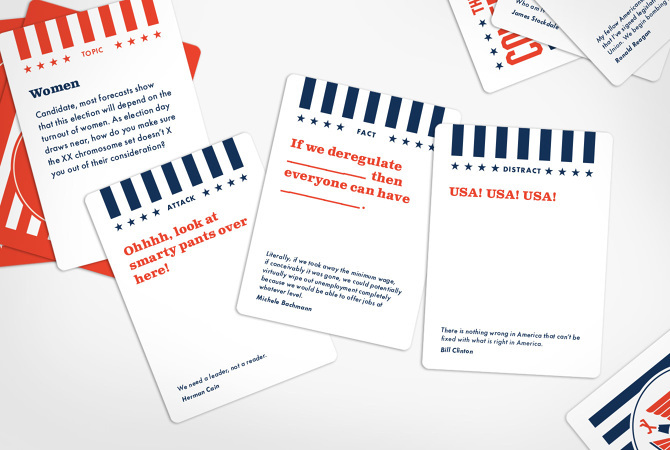 The cards consist of hundreds of one-liners based on real quotes from presidential candidates throughout American history. Buy the game here or visit the website to learn more.